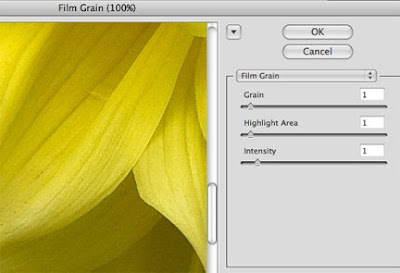 Image sharpness is often the topic of photographic conversations and is always a concern when a picture is being considered for display or competition. You've probably spent time with the sharpening features of various software programs, and undoubtedly you have been preached the virtues of using a tripod whenever possible. 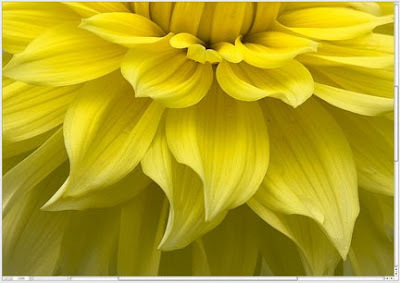 Here's the flower picture as it appears on my monitor using Adobe's Photoshop. The flower was shot with the camera mounted on a tripod on a sunny day with very little wind to cause motion in the flower. My shutter speed was 1/500th of a second, and I manually focused the camera. So, the picture is about as sharp as the camera can produce. My aim is to produce the final image as an 11"x14" enlargement. 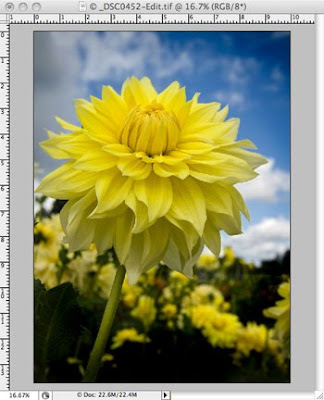 My general rule for enlargements is: Do NOT enlarge an image beyond it original file size (interpolate) and use a PPI (sometimes mistakenly called DPI) setting of 240. The image looks sharp, but I want to increase the impression of sharpness without adding more sharpening with Photoshop's sharpening tools. It's easy to go overboard with sharpening and soon the edges of objects will begin showing the effect and it becomes obvious to the viewer that the picture is over sharpened. I can't tell you the number of times I have been on a jury panel for a photo contest and heard one or more of the judges say, "This picture has too much sharpening applied." Hopefully, your monitor will allow you to see the subtle apparent differences in sharpness between these two enlargements. This second picture "looks" sharper to the eye. And yet this effect was created without the use of sharpening. As this menu illustrates, I used the lowest settings on the grain, highlight area and intensity sliders possible to add just enough believable (but not distracting) film grain to the image. The result is a picture that appears even more in focus than the original. Try this technique on some of your images, and let me know what you think. If you have questions or comments, you know where to find me. Good luck.